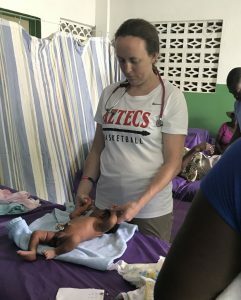 Carrying for the last patient of the trip, a 5 day old baby with a fever. 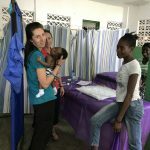 I had the opportunity to return to Haiti this June for another medical mission trip. 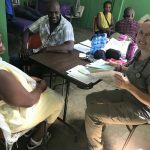 There were seven group members on the trip – two physicians, a nurse practitioner, a physician assistant, a social worker, a pediatric nurse, and a paramedic planning to attend medical school. 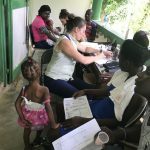 All of us were female, and most of us had been to Haiti before. 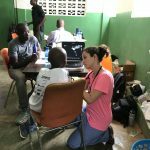 On this trip I served as the Team Physician – caring for the medical needs of our own team in addition to serving the people of Leon, Haiti. 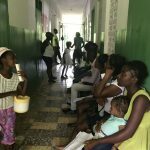 Over the course of the week we cared for hundreds of Haitians who otherwise have no access to basic medical care. We took care of coughs, colds, tuberculosis, and cerebral malaria. 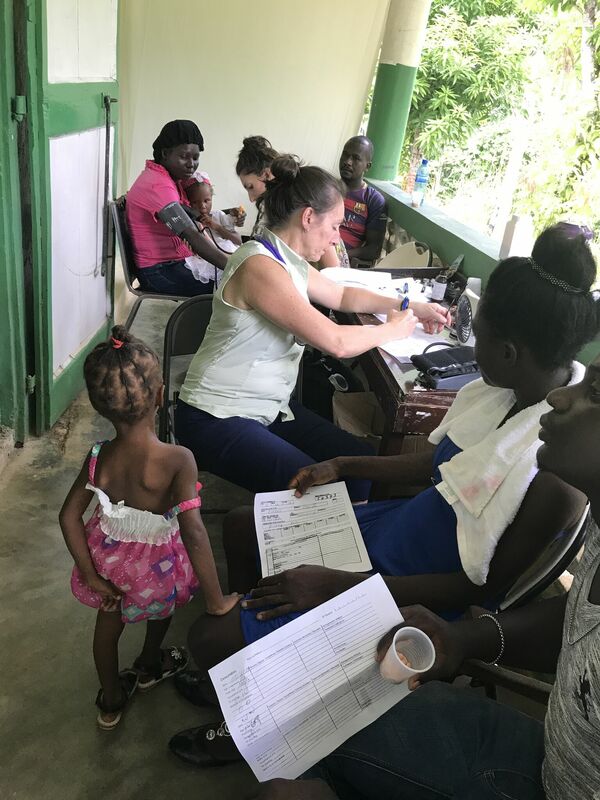 We had all ages of patients ranging from a 5 day old infant to patients well into their 80s. 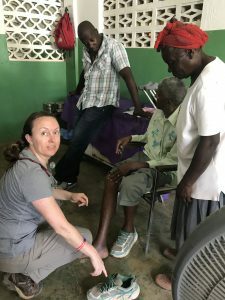 We heard harrowing tales of illnesses and injuries that were the direct result of Hurricane Matthew, which hit the island in October of 2016. 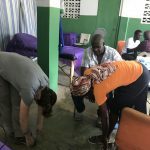 Two of the patients lost eyesight in one eye due to the trauma of falling branches and walls. One of my patients lost her son and her mother during that storm. 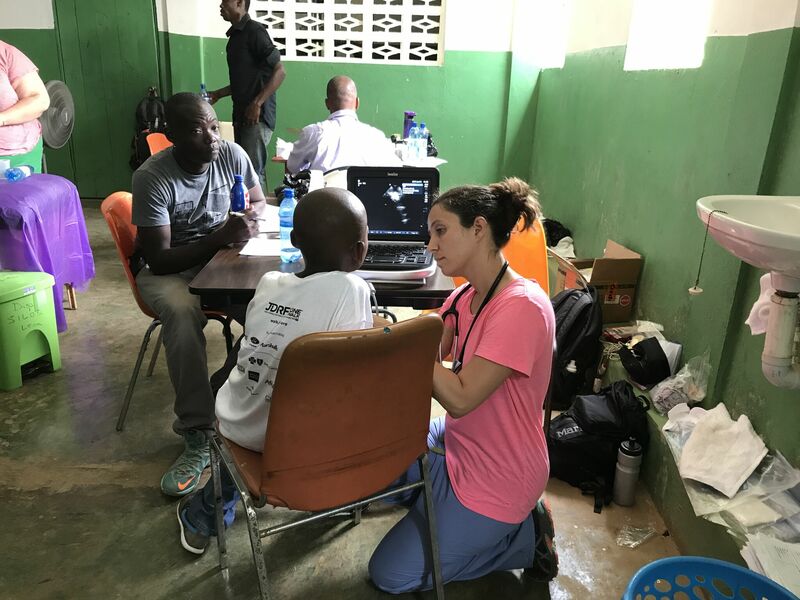 Many patients were still experiencing emotional stress related to the hurricane. 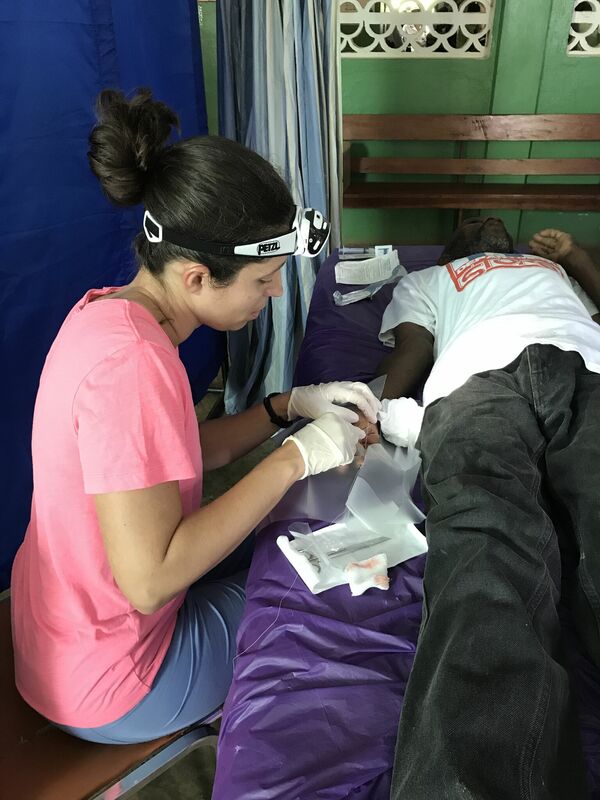 At times there was nothing for us to do except commiserate with the patients on their life-changing experience. Helping a patient with heart failure who incidentally had Hoka running shoes. It is funny where clothing donations end up. 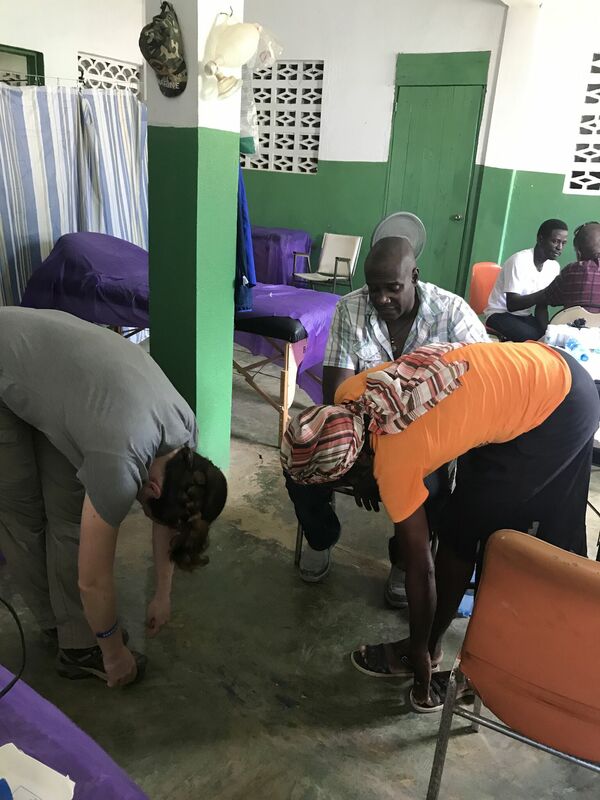 While there were many sad things that happened in Haiti, there was hope too. 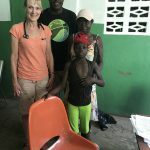 The presence of the clinic for over 20 years is beginning to have an effect on the health of the community. Patients who have diabetes and high blood pressure are now well managed on medications and dietary changes. 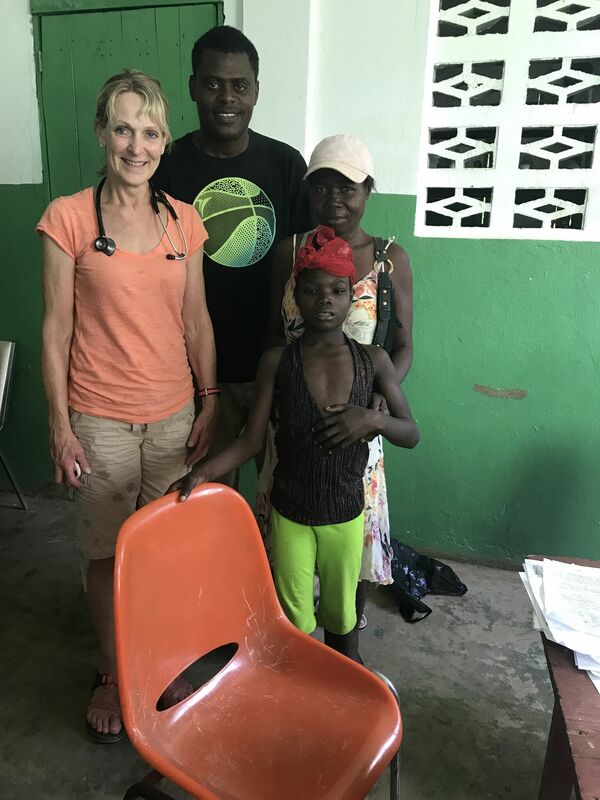 They are proud to have doctors who care for them and who regularly return to Haiti to see them. 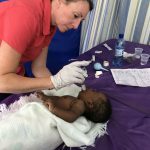 We were also able to make important interventions in the lives of pregnant women and babies. 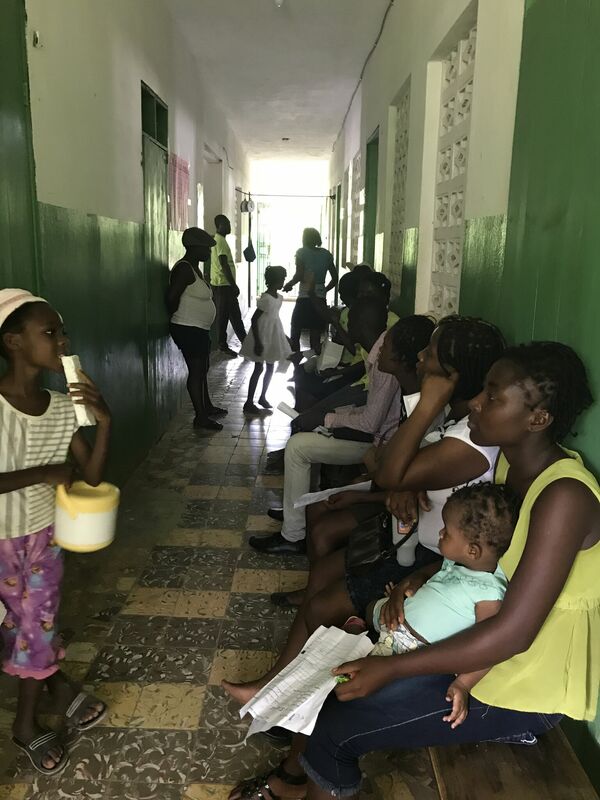 We have a strong referral program to the Center of Hope which cares for mothers who are age 18 or under. Moms with anemia get nutritional support and supplementation. 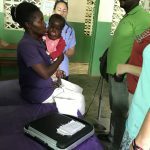 They are able to provide prenatal care that is otherwise unavailable in Haiti. Overall I had a wonderful experience. 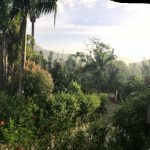 It is touching to know that I can have an effect in such a faraway place like Haiti. I hope to bring back inspiration to my patients here in San Diego. While our lifestyles may look starkly different, we all have the same hopes and dreams: healthy and happy families. Below are a few photos from the trip. Diane is a N.P. who practices in an ER setting. 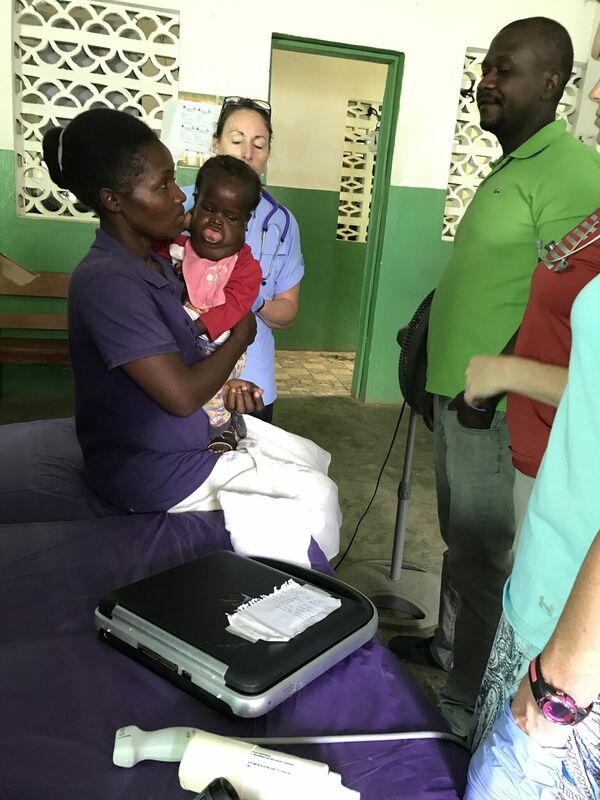 During this trip she cared for this little girl who had cerebral malaria and a secondary meningitis. We all worked together to help care for a condition none of us had seen before. 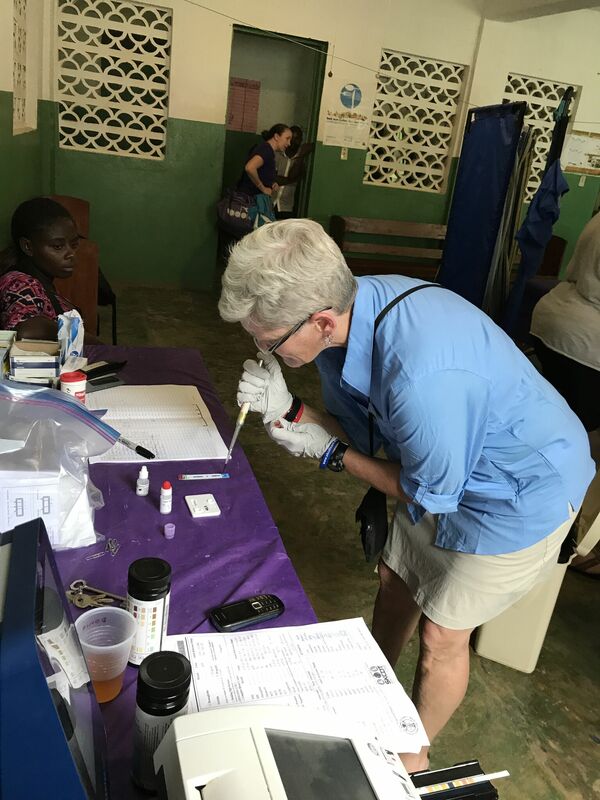 Lori, a social worker by trade – serving as a lab technician and Team Leader on this trip. Patients waiting to be seen. 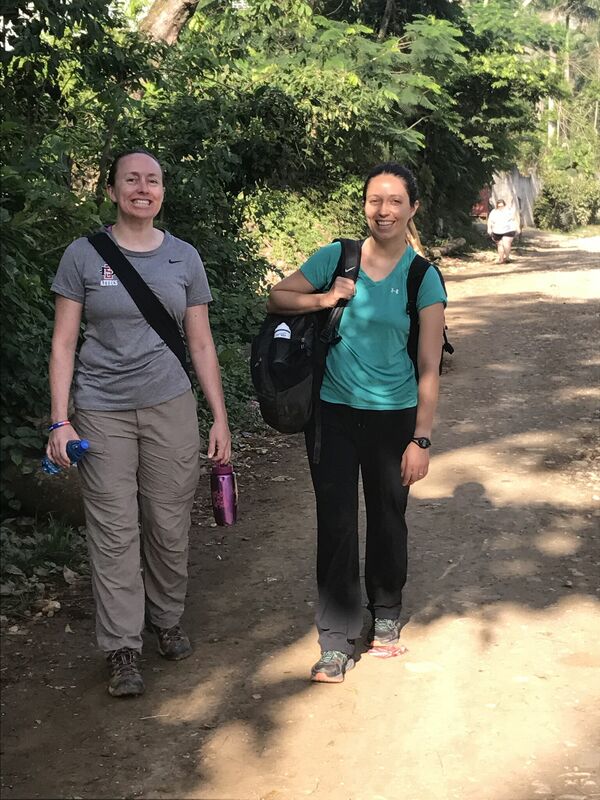 Some waited 6 hours to be seen after walking for up to 6 hours from home. That certainly brings perspective to the availability of high quality care. The view from the Parish Rectory where we stayed. It was a beautiful place to rejuvenate before and after clinic. 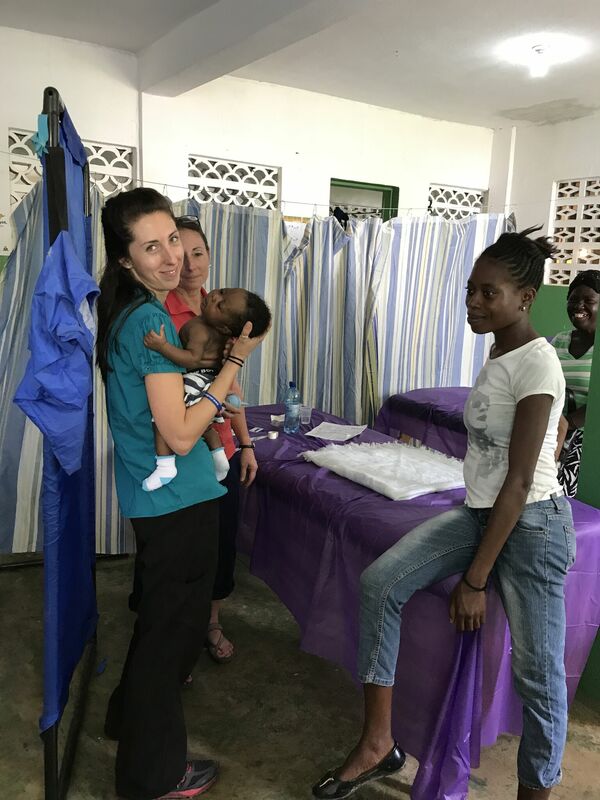 Karen, and R.N., and Kyla, a paramedic, caring for a baby with pneumonia. 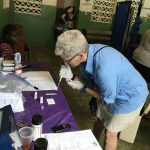 We later found out that mom and baby were HIV positive. 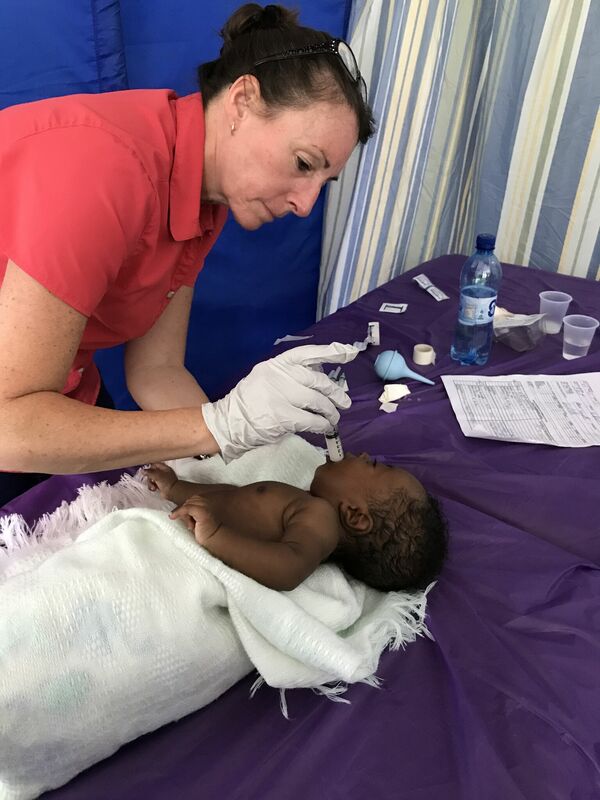 Karen feeding the baby with pneumonia. He improved a lot over the course of the week! The triage area is on the patio with a nice breeze and beautiful views. 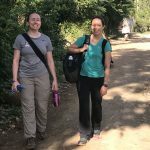 We were all smiles on the way to clinic each morning. 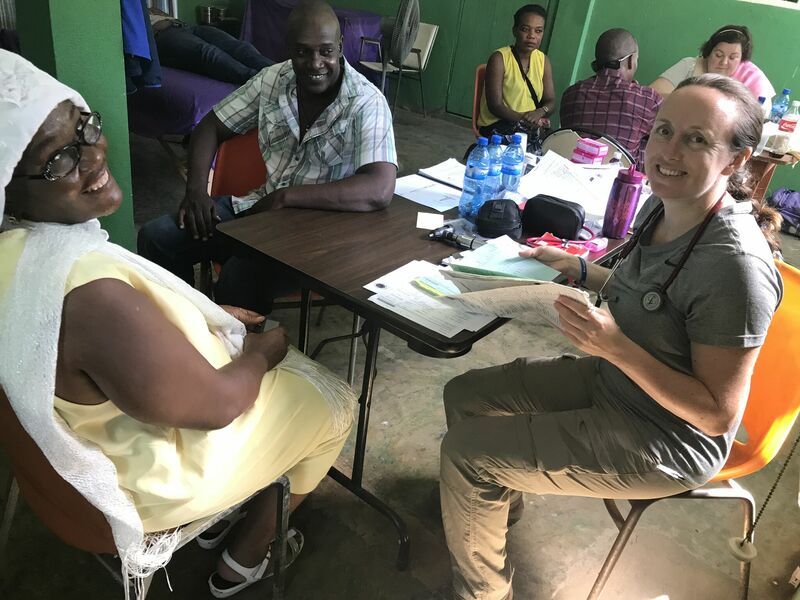 If you would like to learn more and support these medical missions, please visit the Seattle-King County Disaster Team website.